Get rid of the green! So many of us are busy with life, from running the kids to different places, school, work, church, going to the gym...it's hard to get to ALL that needs to be done around the house and many times cleaning your windows gets left out. Total House Wash will clean your windows, inside and out, as well as your screens, tracks and blinds. We have created the below packages based on what our customers have asked for in the past. If any of these packages don't work for you, reach out to us and we'll work with you on exactly what you want. We created these packages based on what our customers typically tell us they are looking for. Note that the homeowner needs to remove the screens before we arrive. If you just need your window glass cleaned this is the package for you. If you also need all the dead bugs and dirt buildup removed from your window tracks, this is the package for you. 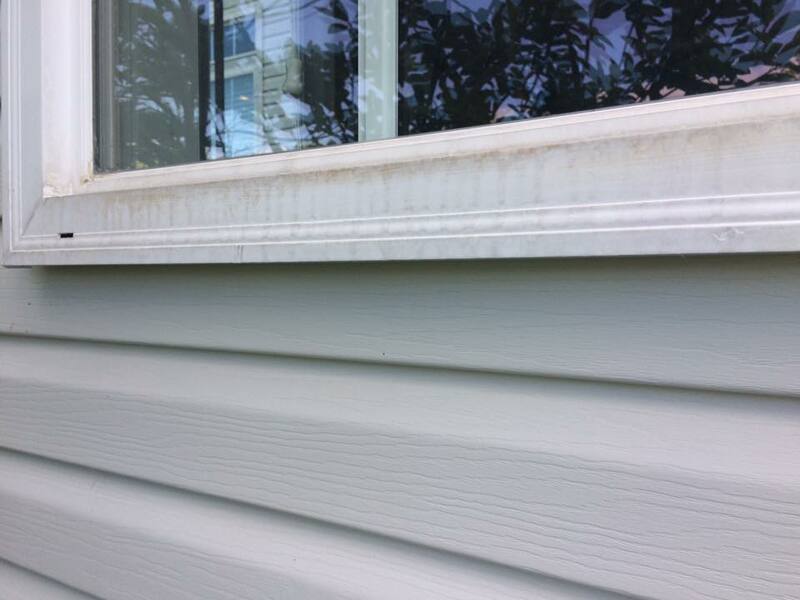 If the glass or frames of your windows are oxidized we can get the oxidation off and make them shine! 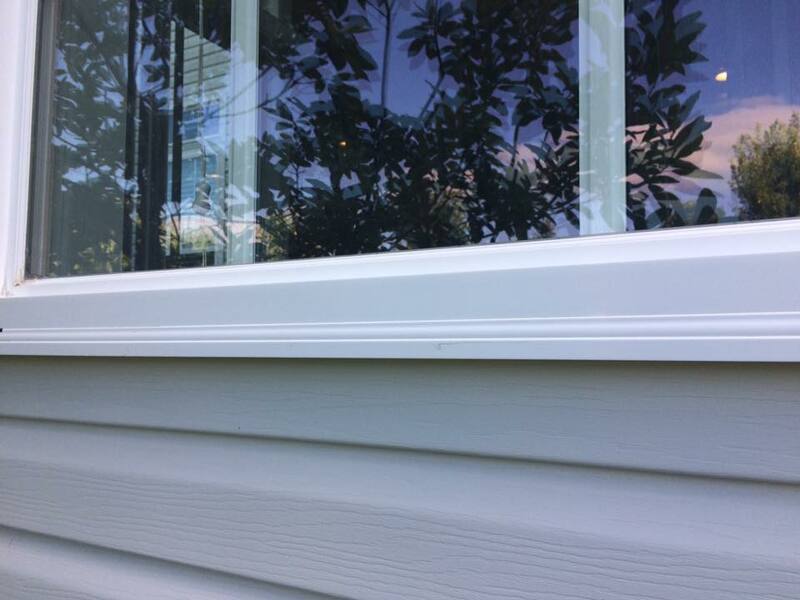 Most windows are not oxidized but many transom and half-moon windows are oxidized and need the oxidation removed. 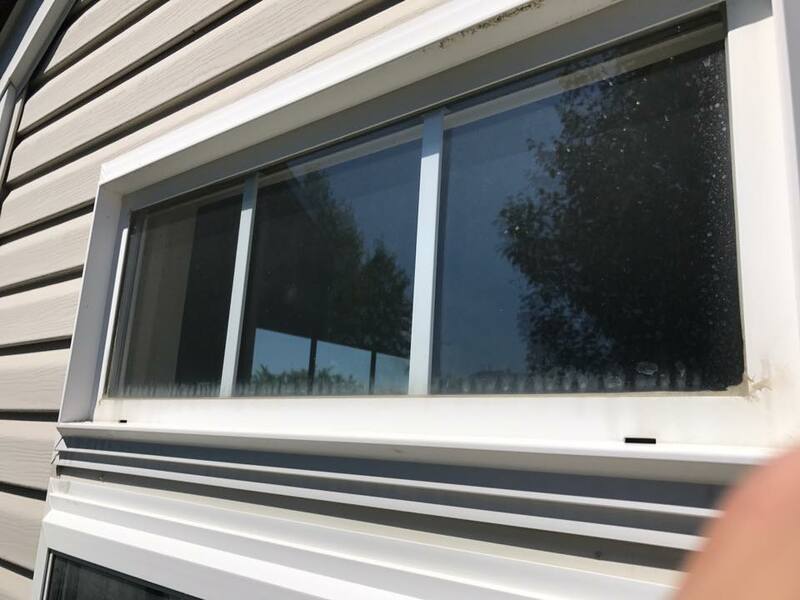 For just $5 per window we will remove the window oxidation from the top or bottom of a normal 3 ft wide window. 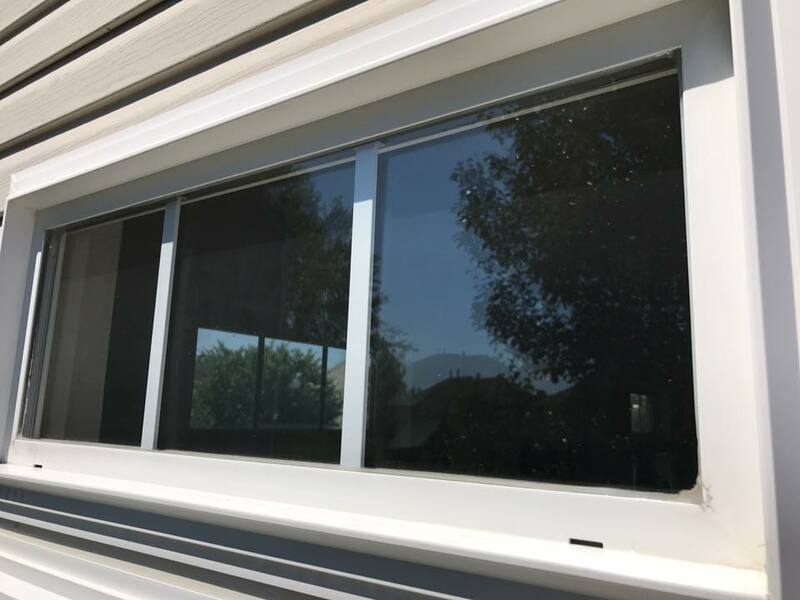 See the before & after images below for what oxidized windows look like. 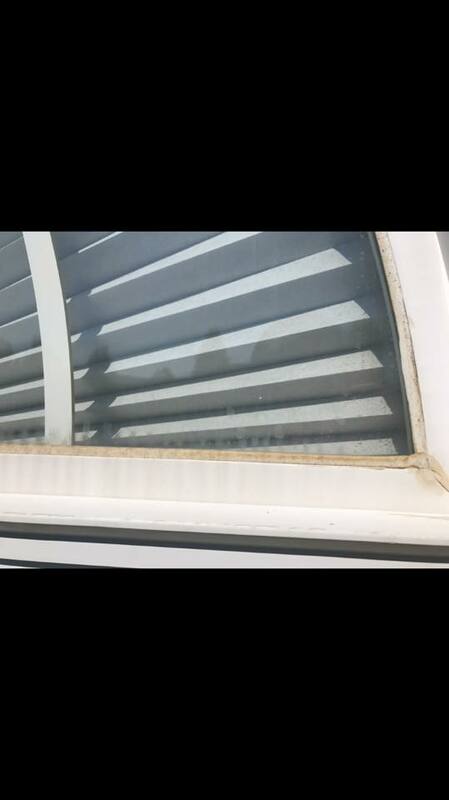 Are you getting ready for a party and your windows need cleaning? 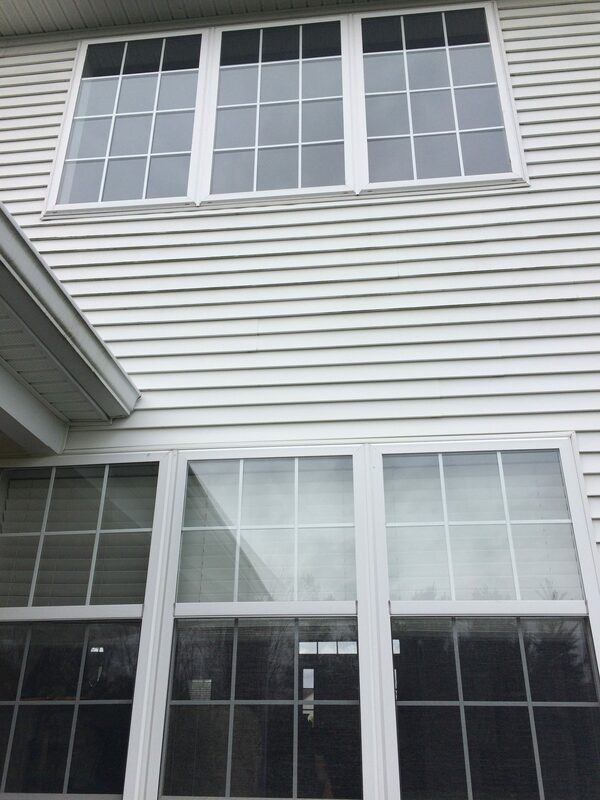 Are you thinking of selling your home and you realize that your windows need to have that fresh look? Are you simply too busy to get to all the windows in your house? 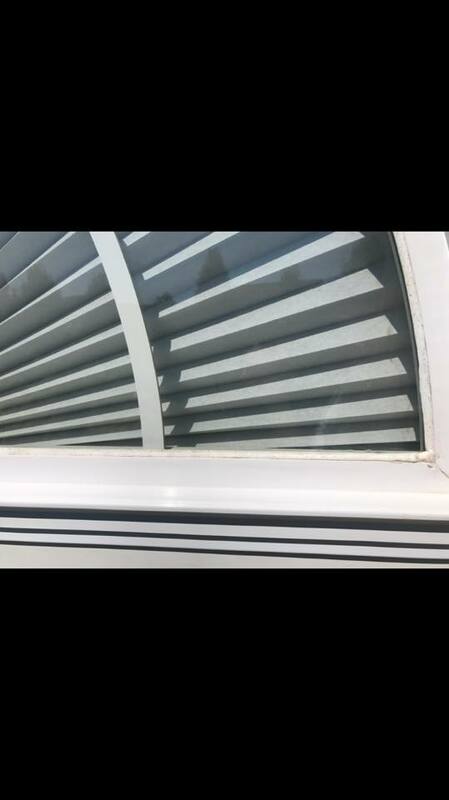 We would love to hear from you and be able to clean your windows.